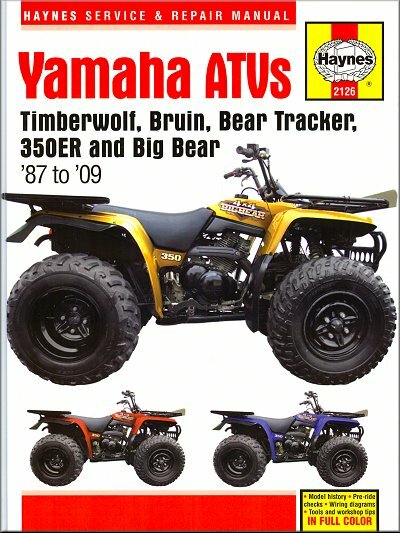 And the Bruin, Bear Tracker, 350ER, and Big Bear models from 87-09 as well! Remember to take your Yamaha ATV Service Manual whenever you ride. It will easily fit in your gearbag, toolbox, or glove box. But really now, this is cheap insurance against the dreaded Ride Day Demons, that show up unexpectedly.